When it comes to survival, there's no time for playing around. 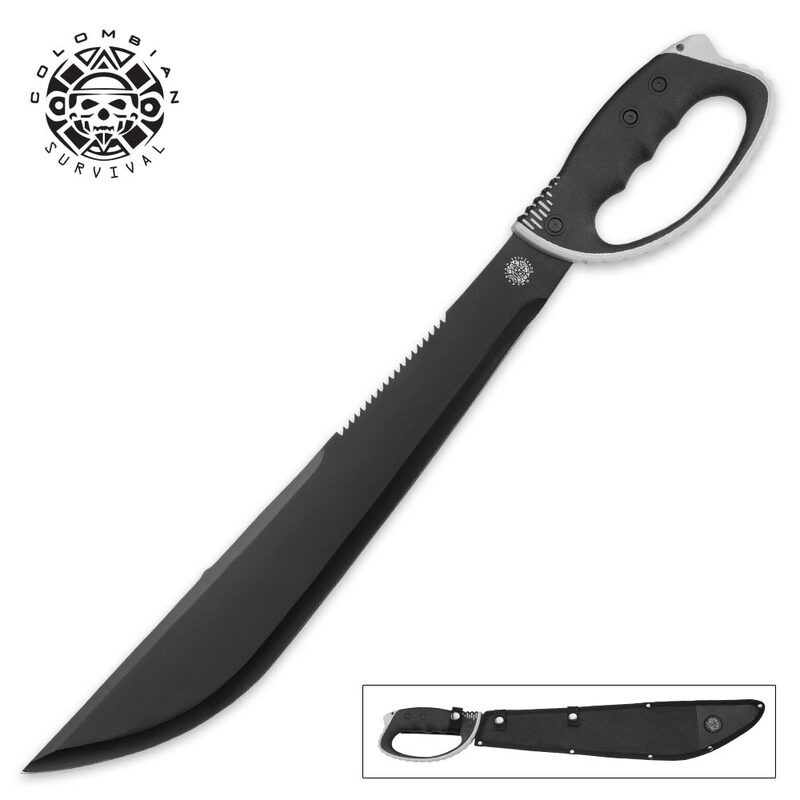 You need a blade that won't let you down, and the powerful Colombian Survival Bush Machete from United Cutlery is that knife. Featuring a massive, rock-solid 18 1/4" full tang beast of a blade, this machete can surmount any back country challenge, even in the harshest environmental conditions. The blade is forged from resilient stainless steel and boasts a nonreflective black coating for stealth and improved corrosion resistance. Sawback serrations along the blade spine add power and versatility. Combined, the two distinct cutting edges allow for maximum cutting efficiency and are perfect for practically any chore - clearing brush from the trail, hacking wood for a lean-to, sawing through thick tree limbs and much more. 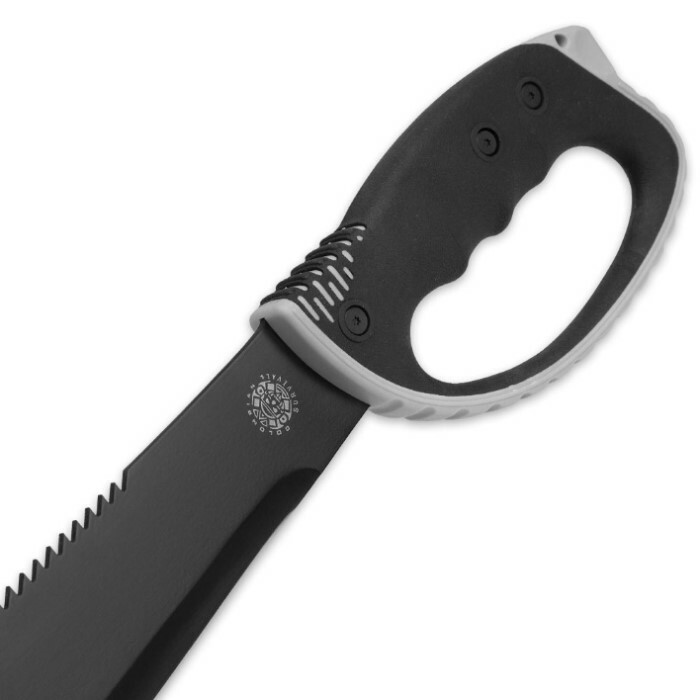 The rubberized injection molded handle is every bit as capable and tough as the blade, affording a secure, comfortable grip that's second to none. Despite its colossal size and robust build, the Colombian Survival Machete is easy to transport in the field, thanks to the included heavy duty nylon belt sheath. Designed to conquer the wild, you won't find another machete at any price that can do the job better!